There is just something about a blazer that makes you feel so fresh I think. Love your choices. Considering I own about 100 millionjillion of them, I guess you could say I love blazers! I am also a HUGE fan of a good blazer! I'm on the hunt for the perfect leather trimmed one right now. I'm a big blazer gal myself!! Great for instant polish. Throw on a blazer and your outfit is suddenly fasyon. Even it it's just jeans and a tee. I could use 10 million more blazers!!! These are all so perfect... I'll take one of each, please! Blazers are my favorite. When I don't know what to wear, I throw on a blazer. When I want to look instantly chic and polished, I throw one on. I could name countless reasons why they are so great, but that would be one long comment! I love a black blazer, just wish mine were warmer as I'm taking it to nyc with me and am afraid I'm going to be cold! absolutely love a good fitted blazer... been a big fan of my navy one lately since it just feels a little more springy. ahhhh they all look so amazingly effortless cool and chic....it's amazing what the right blazer can do. i love blazers! i always say, when in doubt, wear a blazer. 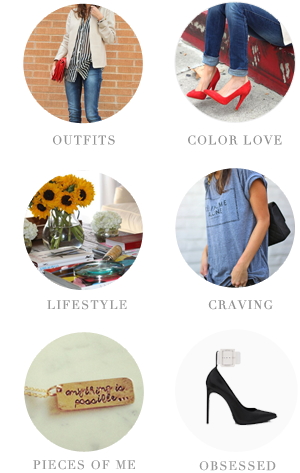 I'd love to add #3 to my closet if it fit my budget :) So chic! I love blazers! <3 Definitely one of my must-haves! I dig blazers too. Slowly growing my collection... I'd love a floral printed one! Tastespotting is a god send! What are your favorite things to cook? A long time ago you posted a recipe about chocolate covered raspberries in mini muffin cups and I made them and they were SO delicious! I definitely need a new blazer. The black one I have from NY&Co is fraying on the hem (I've worn it that much) but I'm going to wait until I loose a few more pounds! Blazers also are great and another important item in my closet. 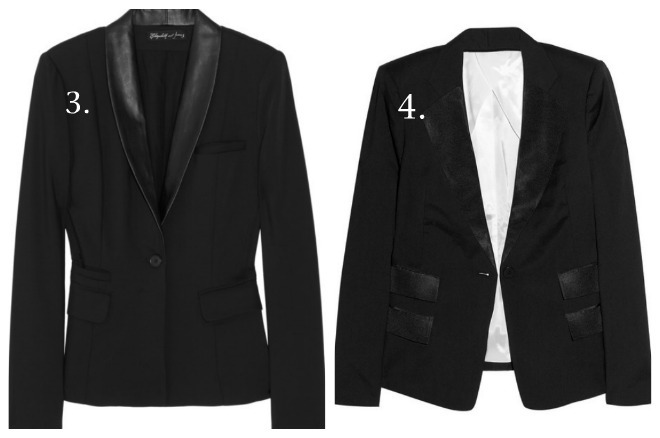 Everyone should own both: a black blazer and a black leather jacket. I am trying to feel casual/comfy in my blazers. After wearing them in the corporate world for so long I am trying to style them in a new light! Great suggestions! 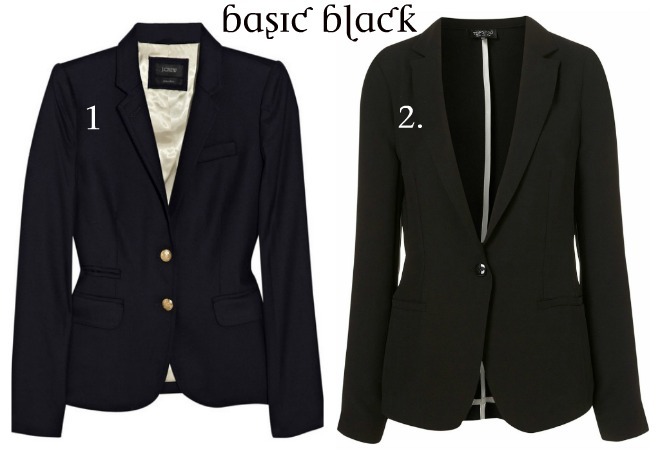 I own two black blazers and yet my closet still craves more of this perfect staple!